Sir: Holi is a religious Hindu festival, which we celebrate every year in the month of March and now we are celebrating it today. This tradition celebration is spent by playing with colour powder-throwing and water on friends and family. 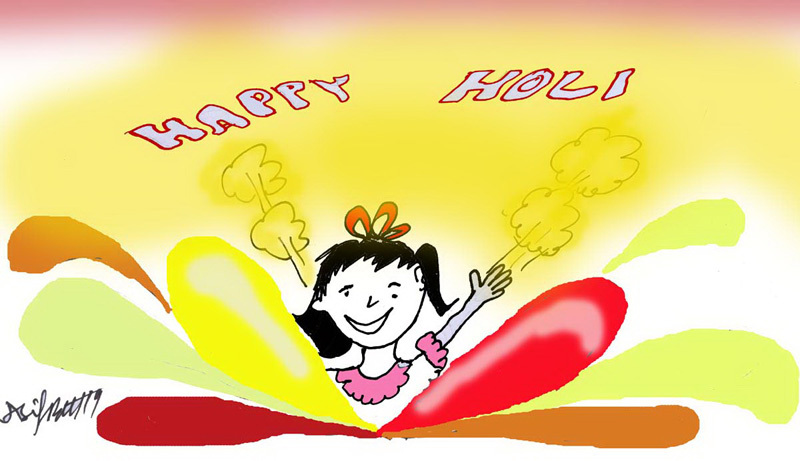 Sweets are distributed and given to all family, friends and neighbourhood.Holi has a message of peace, love and happiness.